Medicinal use of garlic has been well documented around the world and throughout history. Modern science supports many health claims of the ancients while also revealing newly discovered benefits of garlic. 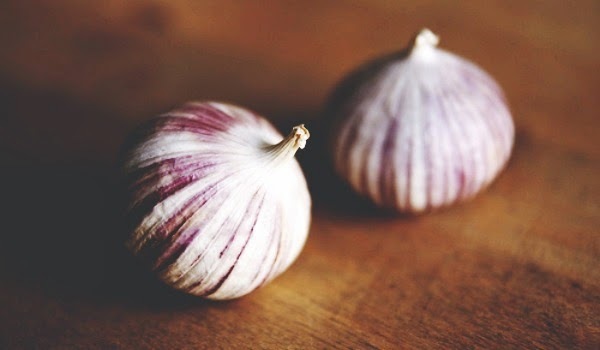 The strong bioactive components that support cardiovascular and immune system health are well known; yet many are unaware of the superior nutritional properties of garlic, which make this common bulb a truly supernatural food. Native to central Asia, garlic has been grown for over 5000 years. Garlic was revered by the ancient Egyptians, who appear to have been the first to have cultivated this plant. Not only was garlic considered sacred and placed in the tombs of Pharaohs, but it was also used for strength and endurance. Ancient Greek and Roman athletes used garlic before sporting events while soldiers ate it before battle. Hippocrates, considered to be the "Father of Medicine," used garlic to heal cancerous tumors. Garlic (Allium sativum) is a member of the lily family and is rich in sulfur compounds including thiosulfinates, sulfoxides, and dithiins. These sulfuric elements are what give garlic its odor but also many of its health enhancing benefits. Garlic sulfides create hydrogen sulfide gas (H2S), which helps to dilate blood vessels. This dilation helps to keep blood pressure under control. Furthermore, these same sulfur elements assist in iron metabolism and are a potent protector against oxidative damage and high cholesterol. Garlic has very strong antibacterial, antifungal, antiparasitic, and antiviral properties. The antibacterial action of garlic makes it an ideal substitute for dangerous antibiotics while the antifungal attributes help to manage Candida albicans. Garlic helps to fight such illness as colds, flu, bronchitis, chicken pox, and urinary tract infections. Incredibly, many documented cases have been reported of tape worm expulsion after the consumption of one clove of garlic per day for a month. Several epidemiological studies found that the ingestion of garlic reduced stomach and colon cancer risk. In a study of 40,000 postmenopausal women, those who had a consistent intake of garlic had almost a 50% reduction in colon cancer risk. Cancer cells are vulnerable to the allyl sulfur compounds present in garlic which slows and even prevents the growth of tumors. Not only does garlic contain high levels of sulfur-containing, health enhancing elements, but it is also an excellent source of micro-nutrients. Garlic yields high levels of manganese, vitamin B6 and vitamin C. This herb is also a very good source of protein and thiamin (vitamin B1) along with phosphorus, selenium, calcium, potassium, and copper. To benefit from the compounds in garlic, a few guidelines are helpful. Crushing or chopping activates an enzymatic process that converts alliin into allicin. Allicin is the component that is responsible for a majority of the health benefits of garlic. For maximum allicin activation, allow the crushed or chopped garlic to sit for ten minutes to complete the enzymatic process. Avoid boiling or cooking whole garlic cloves as this deactivates the enzymes. If cooking is required, do not expose to heat for longer than five minutes. As a potent tool in the prevention and healing of illness, garlic proves to be a timeless ally for robust health.